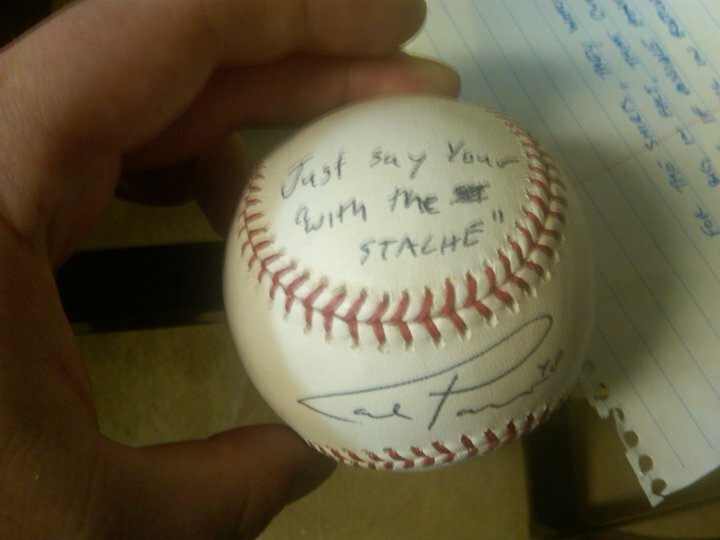 Viva La Stache: A Pavanographed Baseball | That's Twins Baseball. A Minnesota Twins Blog. I recently swapped some autographs for Viva La Stache shirts with Twins pitcher Kevin Slowey. I’ll be posting some of the personally signed items starting with this baseball from Carl Pavano.